The Associate in Applied Science degree in Technical Studies (A.A.S.-T.S.) is designed for students who want to take technical and general courses for college credit to meet the training or retraining demands of current or prospective employers. This interdisciplinary degree program enables individual students or groups of employees associated with one employer to tailor technical programs to their own specific needs. Courses are selected on the basis of a student's interests, goals and abilities. Each student's program is individually designed. As the two examples on this page point out, the A.A.S.-T.S. degree is designed to be flexible and interdisciplinary. Because of the variety offered in this degree program, the number of credits required for graduation could vary from 60 to 66. Anyone interested in earning an A.A.S.-T.S. degree should speak with an admissions officer. Qualified students are referred to the Dean of Business, Science, Technology, and Math to assess prior learning experiences. Procedures for the assessment of prior learning are outlined in the Academic Information section of this catalog and on www.ccri.edu/priorlearning/. If qualified, a learning contract outlining course requirements leading to the A.A.S.-T.S. degree is developed. Note: The learning contract is an official document filed in the student's permanent record. It can be changed only with the written approval of the Dean of Business, Science, Technology, and Math. Any approved changes in a student's program become part of the learning contract. In general, the program is divided into three parts. Assessment of individual portfolios and records. See Credit for Prior Learning in the Academic Information section of this catalog. Work completed in evaluated apprenticeship programs and accepted by the appropriate academic teaching departments. Other sources, such as CLEP, military schools or industrial schools. 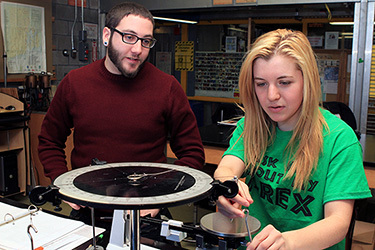 A student will take 20 credits in technical and related courses. If he or she has insufficient prior experience to receive an award of the full 20 credits of prior learning experience, the student will take additional technical and related courses so that the degree equals no less than 60 credits. At least 20 general education credits must be taken. See this page for a complete listing of courses that meet these requirements.